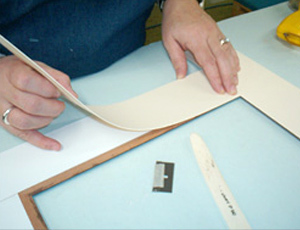 At L.A. Frame Co., we offer a premier selection of products and services for all of your framing needs. Family owned since 1973, we have a great track record when it comes to satisfying our customers with custom picture frames and mirrors in Bridgewater, N.J. We provide our extensive knowledge of framing and our diverse framing experience to assist homeowners, photographers, art collectors, interior designers and corporate clients with any project. We use the archival standards for framing set by the Library of Congress at L.A. Frame Co., and all of our work is done right here in our Bridgewater shop. 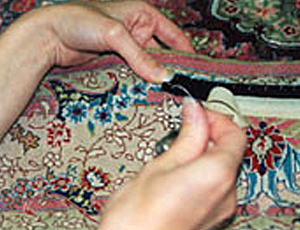 We offer restoration of oil paintings, works on paper, textiles, certificates and more. When quantity, craftsmanship, elegance and superior results are essential, we’re the smart choice to deliver results. L.A. Frame Co. started serving customers more than 40 years ago with an aim to delight them by exceeding their expectations. We still hold to that goal today. To attain it, we offer a unrivaled collection of custom picture frames and mirrors in Bridgewater, N.J. as well as a diverse selection of mouldings and materials backed by an unsurpassable level of service. We select every moulding to provide the absolute best match with the artwork, print or collectible it will frame. Our inventory of more than 1,500 mouldings ranges from the starkly simple to richly baroque. Timeless hardwoods and sleek, industrial, welded-steel frames are just a few of the many styles for your consideration that will transform your art. 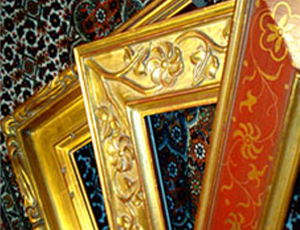 L.A. Frame Co. offers more than just jaw-dropping framing, custom picture frames and mirrors. We provide a complete range of framing services in our Bridgewater, N.J. shop, backed by more than 40 years of experience. That means not only do you have great products and great service, it also means you only need to make one stop for all of your framing needs. Whether you would like our help packing and shipping a framed piece across the country or need assistance with restoring a cherished or valuable painting that has suffered deterioration from age or environmental factors, we can handle all your requests. Let our experts show you our capabilities and walk you through what’s possible with our custom picture frames and mirrors in Bridgewater, N.J. Our staff can discuss our custom framing services, restoration work and more with you. 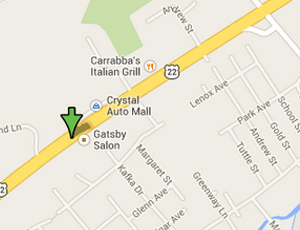 Stop by our store today or call us at 732-968-7440 for more information. Check out a walk through of our Business. Framing is visual and it’s tactile. In our showroom you can feel the fabrics, pick up the frames, see their luster, and look through glass that seems invisible. Examining the raw elements is exciting. Working with a skilled designer means combining these elements to create framing options that fire your imagination and that speak to your heart! Visit us today to explore the possibilities of custom framing.